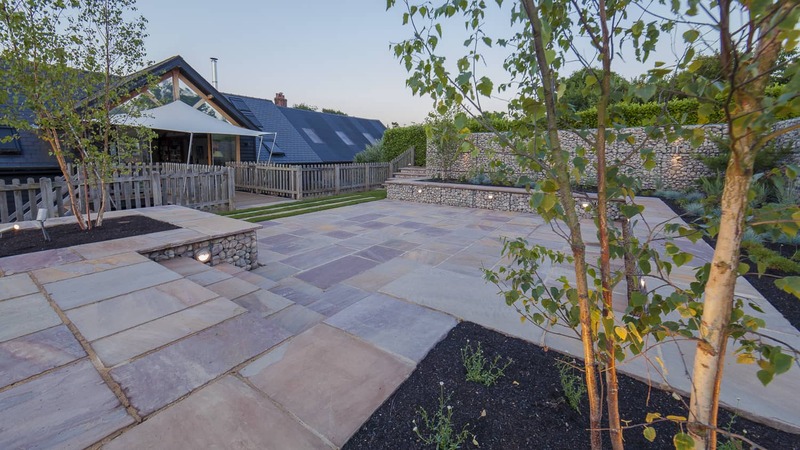 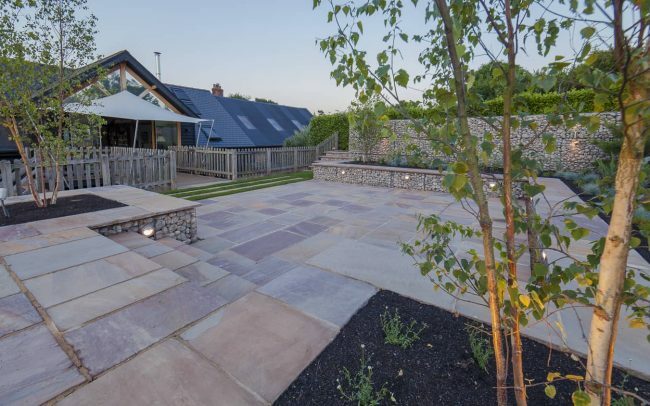 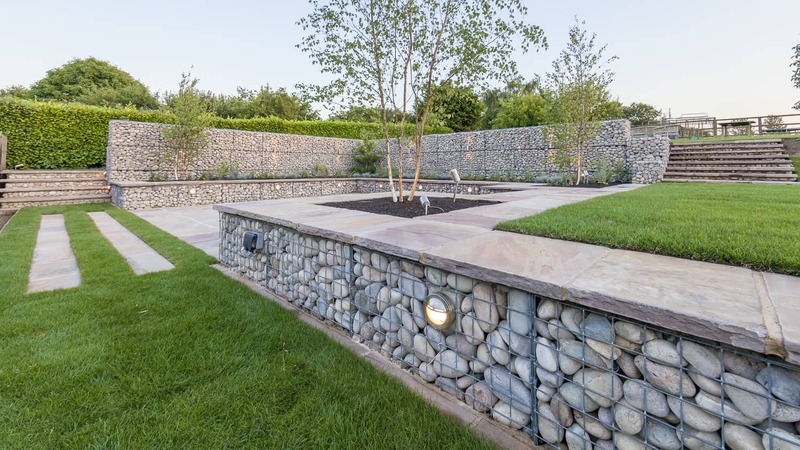 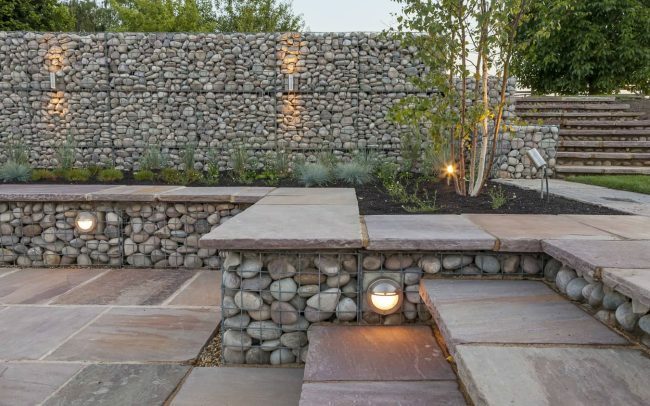 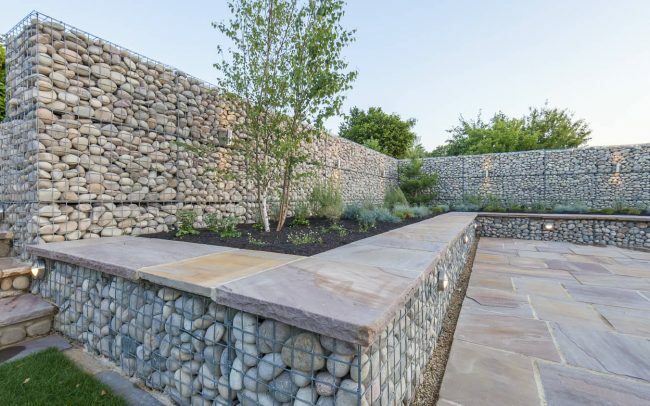 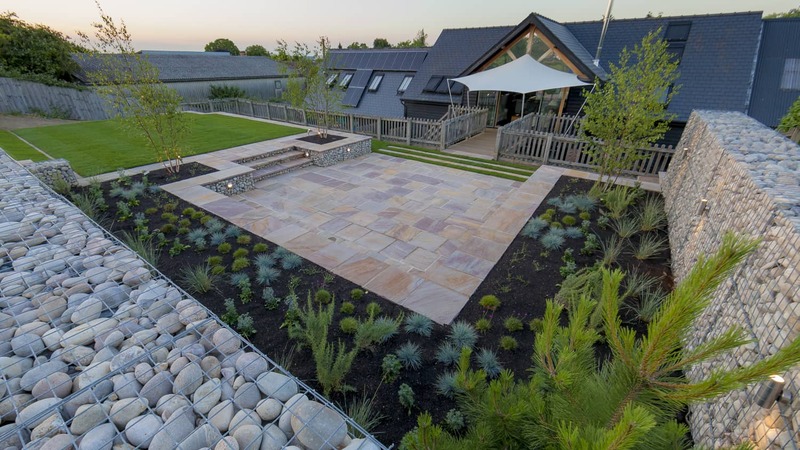 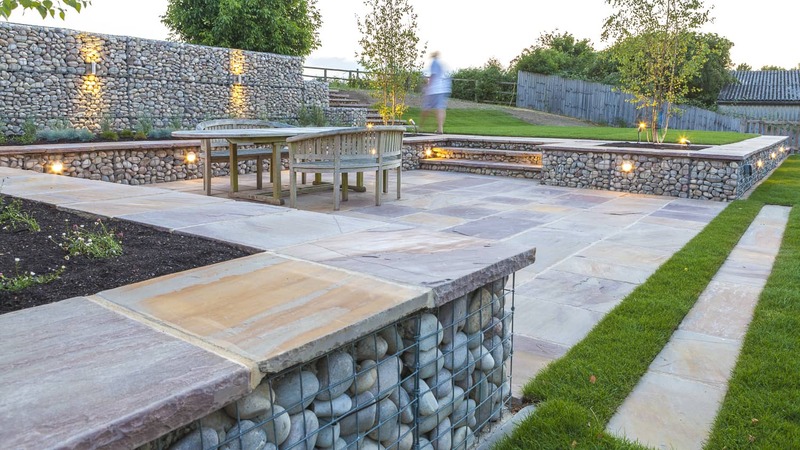 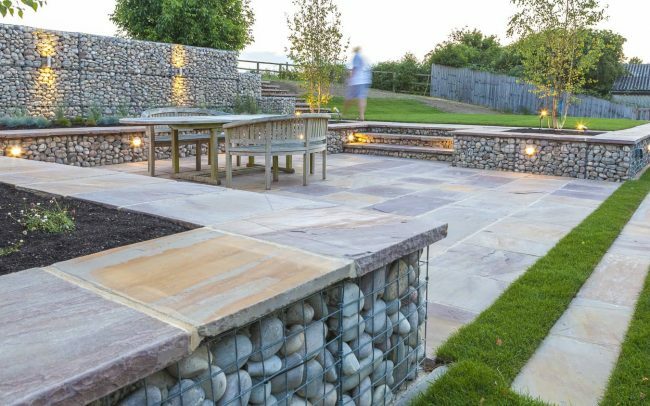 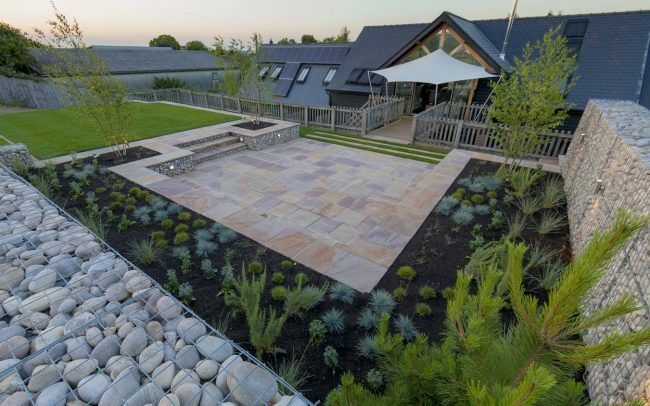 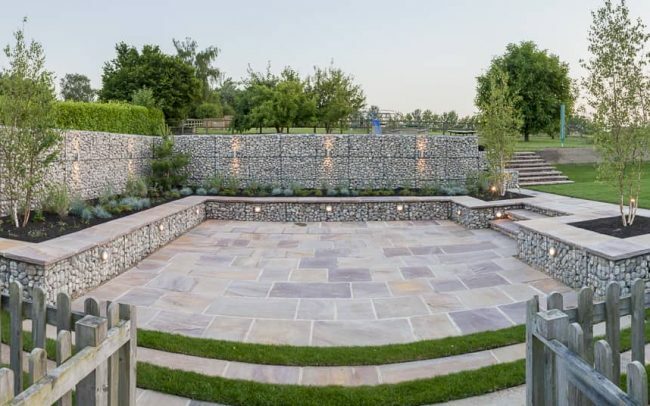 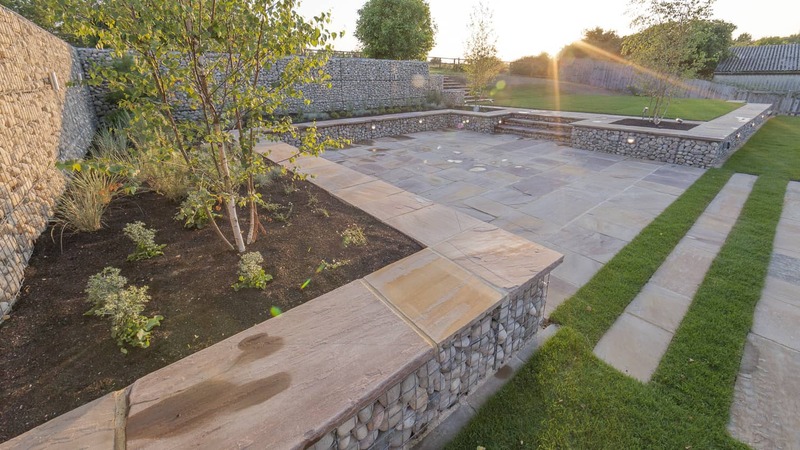 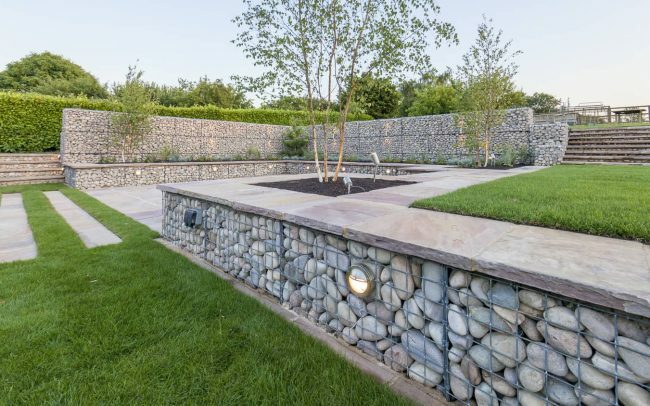 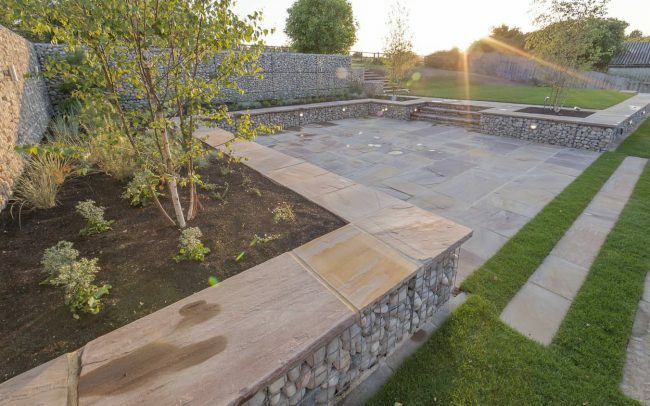 JW Landscapes designed and built this stunning hillside garden. 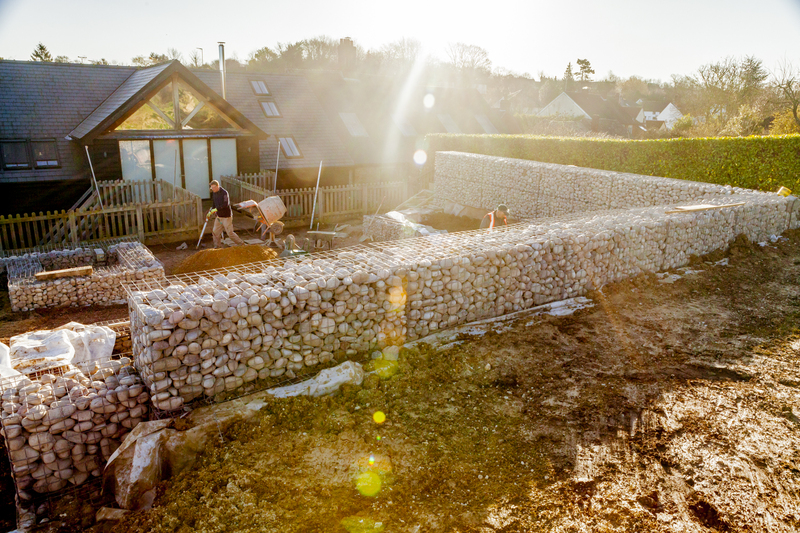 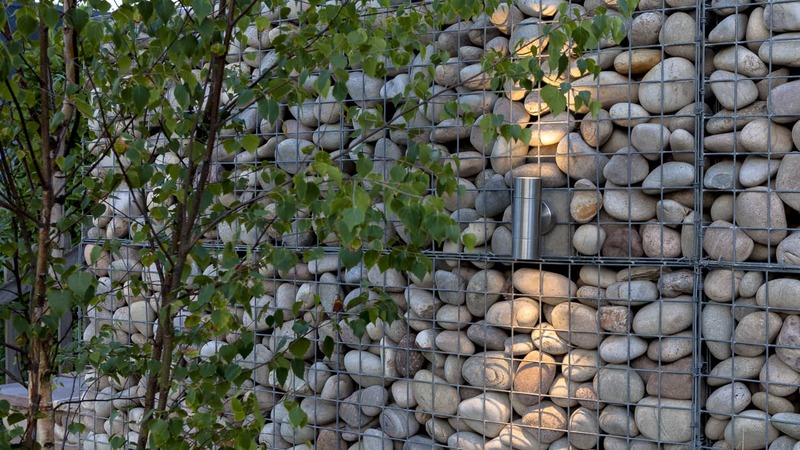 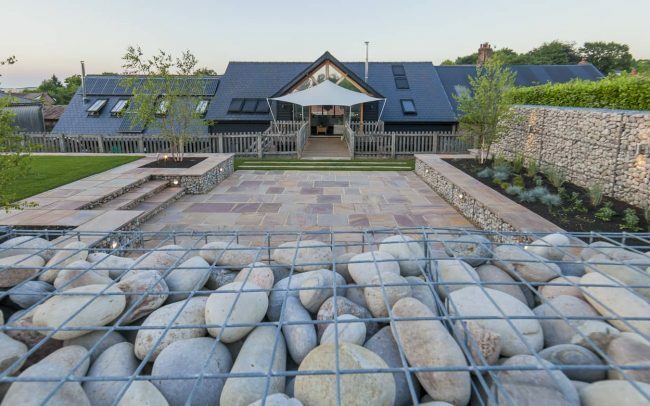 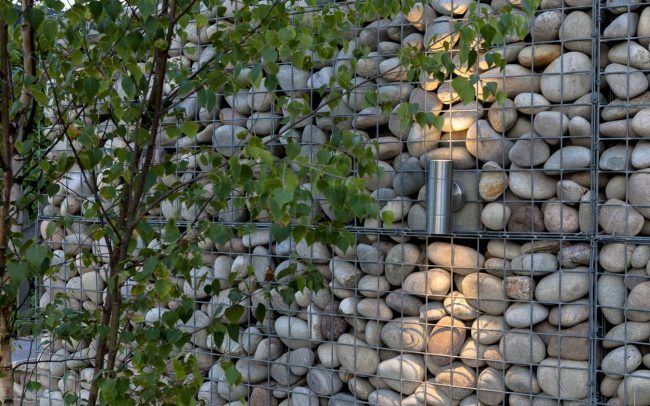 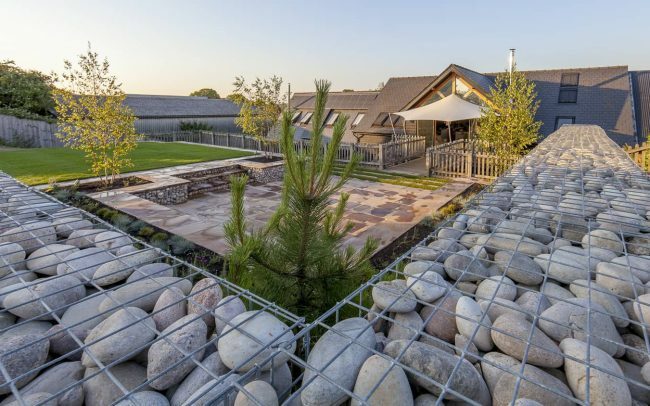 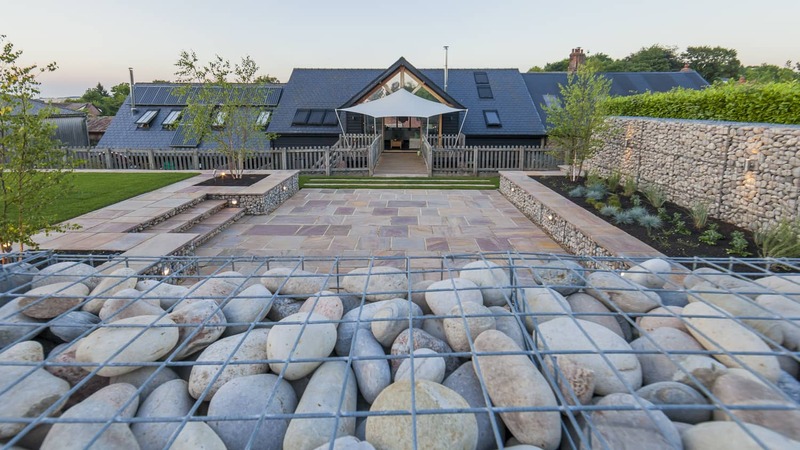 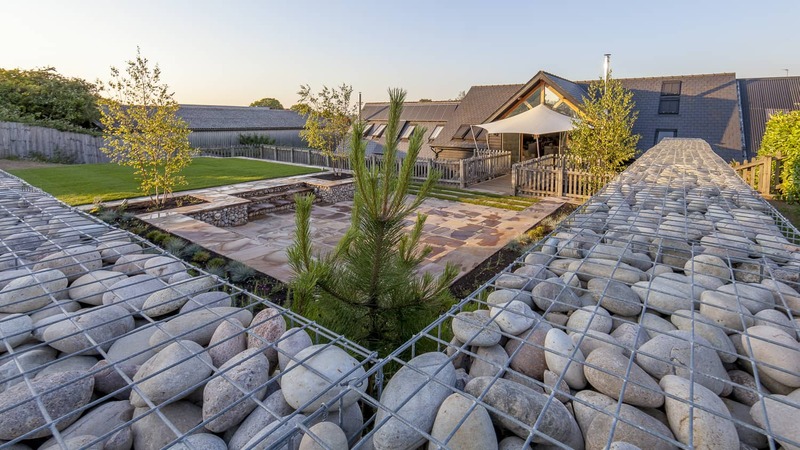 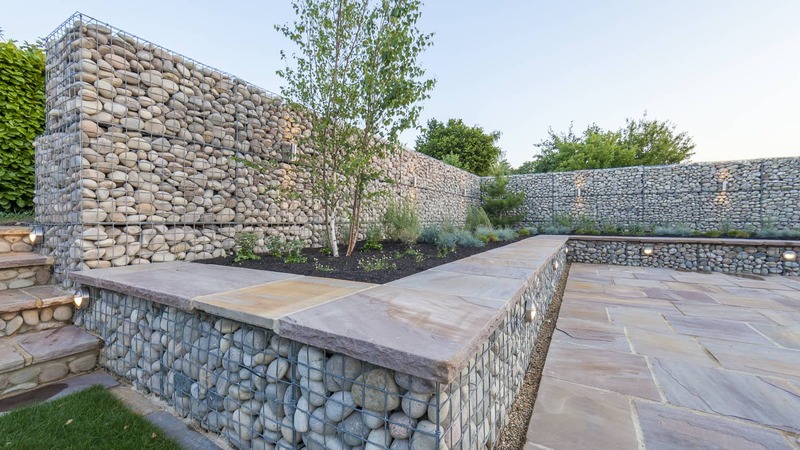 Giant gabions frame and protect the large patio area which leads down to the house. 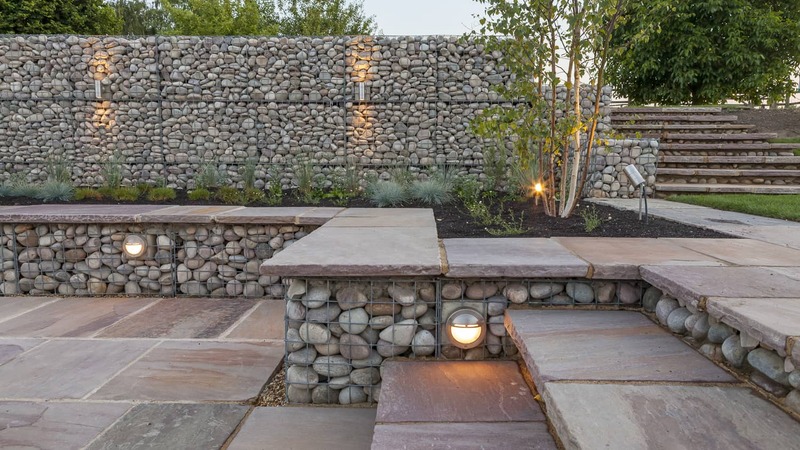 At night the terrace comes alive with subtle lighting and planting.